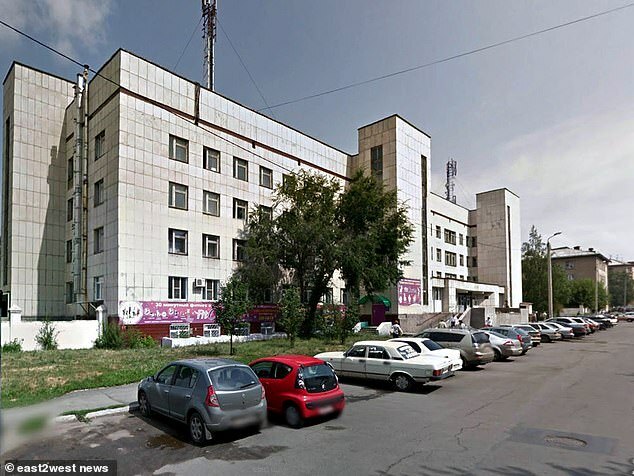 A ‘vampire’ who drank the blood of a classmate he murdered has been found working as a doctor in Russia using fake medical qualifications, say police. 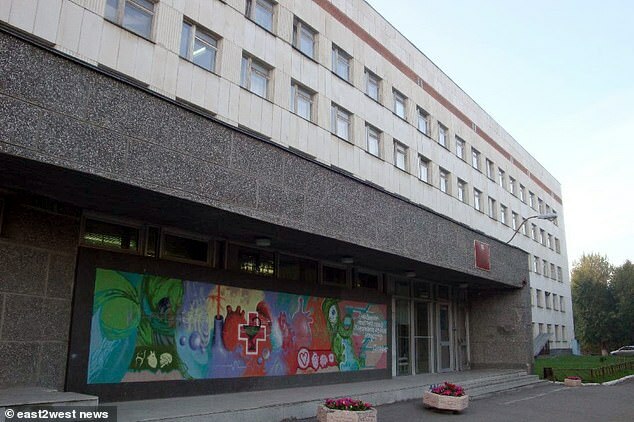 Boris Kondrashin, 36, has been detained amid urgent checks over the fate of hundreds of patients during his two and a half years working as a bogus GP, a psychiatrist and a specialist in addictions. He was unmasked by locals in Chelyabinsk who remembered his gruesome past. As a student, Kondrashin was placed under longterm psychiatric care after committing a macabre ritualistic killing two decades ago. 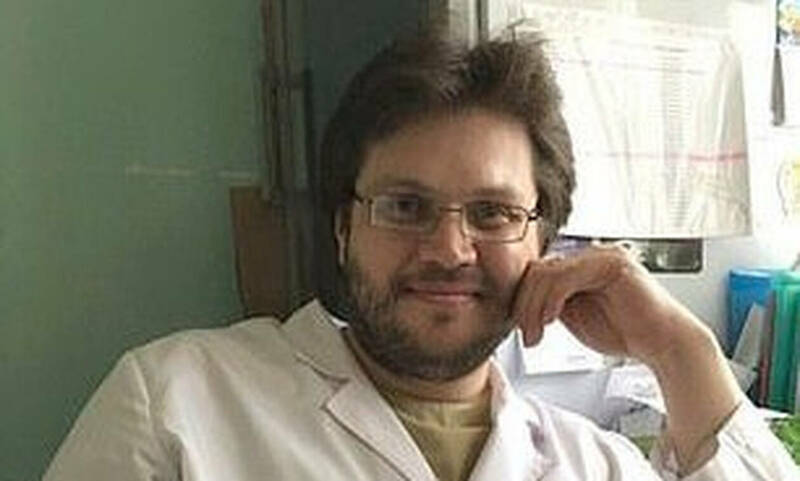 In 1998, he lured a male friend called Ilya to his home, administered a lethal dose of tranquilliser, then dismembered his classmate’s body with a hacksaw, say reports citing law enforcement. He cut out Ilya’s heart and one of his eyes, preserving them in formalin, and then ate part of his liver. Kondrashin, son of an eminent psychiatrist, drank blood from a ‘specially prepared silver goblet’ under instructions from Satan, he claimed. Styling himself Baron von Ginzel, he told police officers who detained him that he was a ‘vampire’. 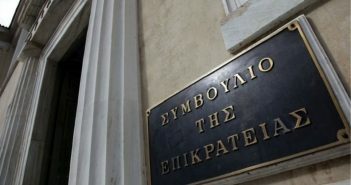 A death list of ten targets for killing among his classmates was found in his possession, according to reports of the investigation in 2000. A court declared him ‘insane’ and he was sent for psychiatric treatment. After around ten years in care, he was classified as ‘cured’. He then sought to return to his teenage dream of following his late father into a medical career. 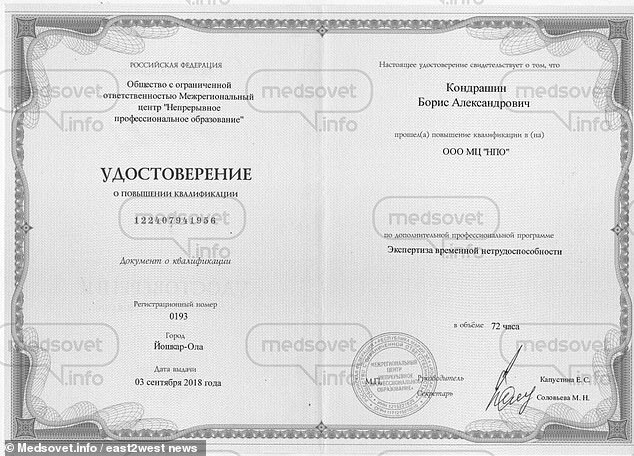 Kondrashin – from a noble family in tsarist times – paid cash to obtain fake medical college certificates which – astonishingly – enabled him to get jobs as a doctor in several Chelyabinsk hospitals. He worked variously as a GP, a psychiatric counsellor and a specialist in alcoholic and drug addictions. She was on the list of ten former classmates he intended to kill, she said. Another male patient reported him to the chief doctor who refused to believe his medical certificates could be fake. ‘I went to see a doctor in chief but he was not interested,’ said the man. ‘He told me it was nonsense because he had university qualification. ‘He was also checked by the personnel department, which failed to discover the fakes. ‘Soon Boris changed jobs and went to work in another clinic. His 1998 killing shocked even hardened police officers. ‘The case was resonant and very unusual, I will recall it for the rest of my life,’ said retired detective Alexander Filatov. ‘He cut out the heart and eye and placed them in formalin, and also squeezed blood from the victim, drinking it in a specially prepared silver goblet,’ he said. ‘The student was detained almost immediately after parts of the body of the deceased were discovered. When he was convicted in 2000, a newspaper report said he heard demons calling out to him, demanding blood. He was guided by Satan, he said. Kondrashin was described as a ‘gloomy and unsociable’ boy while his victim Ilya was an athlete and musician, popular with girls. After killing his classmate he was ‘like a real butcher, dismembering the corpse, sawing it with a hacksaw. ‘He took out the liver, and bit off a piece of it. His father Alexander died when he was called to give evidence about his son. He ‘choked on his own vomit’, according to one account. 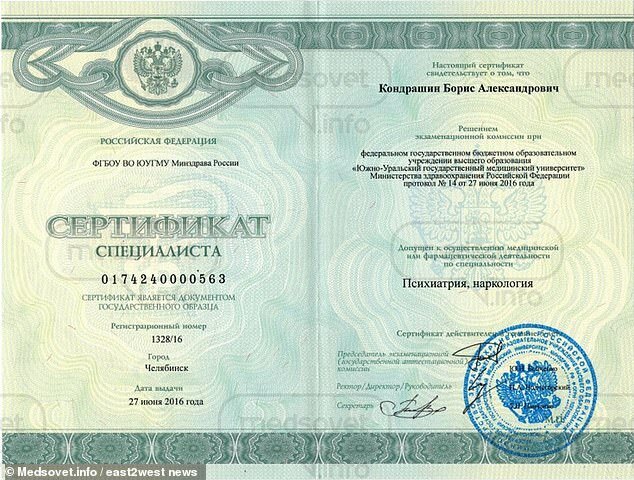 Senior detective Konstantin Pravosudov said Kondrashin had been detained and a criminal case launched into use of fake documents. 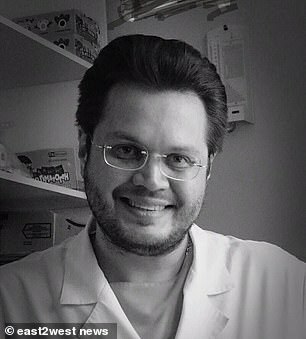 Certificates showed him falsely qualified as a GP and psychiatrist. ‘Police experts have already confirmed that his university degree is fake,’ said a law enforcement statement.